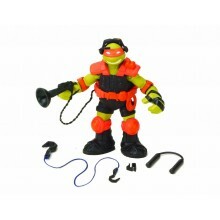 The ever-friendly heart and soul of the Turtles, Stealth Tech Michelangelo is equipped with ÒÕChuck this out!Ó ninja gear: Stealth Tech nunchucks, audio amplifying gun, headset, flip-up visor, and rappelling line. 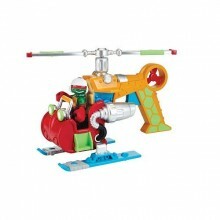 Mikey may be the smallest of his mutant brothers, but with these new weapons and accessories he will be much harder to catch. Enemies better watch out. 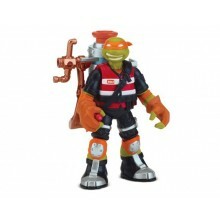 Teenage Mutant Ninja TurtlesMutagen Ooze LeoOoze Control!Fighting the Kraang, the Turtles learned the power and dangers of Mutagen Ooze—and watched it create some awesome allies and awful adversaries. 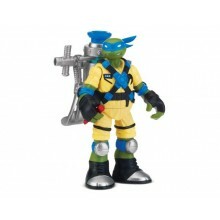 Now that Donatello’s built each member of the team their own Ooze-zooka, the Kraang and the Foot Clan are in for a sticky surprise! 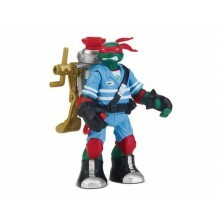 Teenage Mutant Ninja TurtlesMutagen Ooze RaphOoze Control!Fighting the Kraang, the Turtles learned the power and dangers of Mutagen Ooze—and watched it create some awesome allies and awful adversaries. 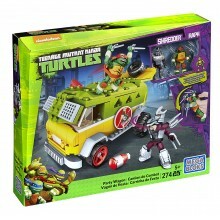 Now that Donatello’s built each member of the team their own Ooze-zooka, the Kraang and the Foot Clan are in for a sticky surprise! 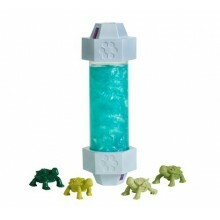 Teenage Mutant Ninja TurtlesMutagen Ooze MikeyOoze Control!Fighting the Kraang, the Turtles learned the power and dangers of Mutagen Ooze—and watched it create some awesome allies and awful adversaries. Now that Donatello’s built each member of the team their own Ooze-zooka, the Kraang and the Foot Clan are in for a sticky surprise! Caution: Protect play surfaces before use. Do not use on surfaces that can be damaged by water. 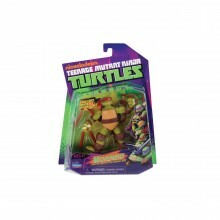 Mutagen Ooze may stain or stick to some surfaces. Avoid carpets, clothing, walls, and furniture.Clean-up: To remove Mutagen Ooze from clothing or fabrics, hand-wash with a small amount of laundry detergent and warm water. Who's hungry for pizza? The Turtles are always ready for whatever pops up! Open this "pizza box” and serve up a fresh slice of Anchovy Alley topped with furious ninja moves. 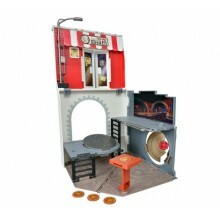 Above or below the city streets, take down Shredder, the Foot Clan, and the Kraang. With more than 12 points of articulation, these action figures are the most highly detailed and articulated Turtle figures ever made! Each turtle figure is uniquely sculpted, with heights ranging from 4.25 inches to 5.25 inches, to capture the individual personalities of the characters from the Teenage Mutant Ninja Turtles TV show.